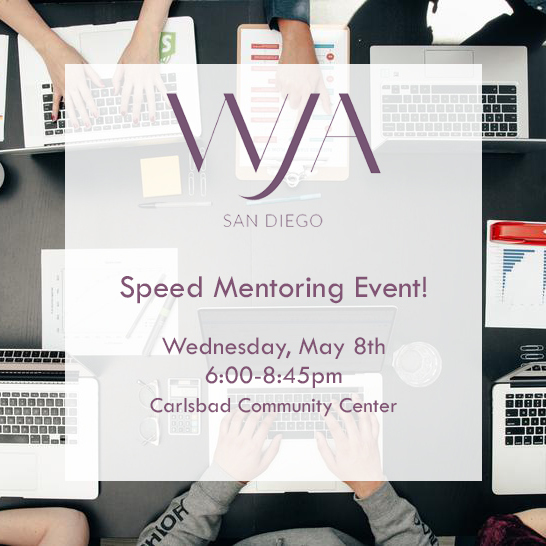 WJA San Diego is thrilled to be hosting our popular Speed Mentoring event again in 2019! Regardless of where you are in your career, we welcome you to join us and take advantage of the opportunity to sit down with industry professionals and veterans for one-on-one insights and advice. Meet one-on-one with jewelry professionals to network, ask questions, or get guidance in your career. During the evening, you will have the opportunity to meet with multiple professionals for 10 minute sessions, and network in between with professionals and colleagues throughout the night. You will be emailed a link to sign up for your mentor sessions after you register for the event. Read about our mentors below! Note: This event may sell out & registration will not be available at the door, so be sure to sign up online in advance! We look forward to seeing you there! With over ten years in the jewelry industry Wade has taken a very strategic approach and exudes a passion for jewelry. His background spreads from direct response television, selling high-end jewelry to clients and through retailers and working with Couture designers. He has been published for jewelry photography and spoke on multiple panels. Currently he is the Director of Brand Development at Julez Bryant in Carlsbad, CA. Alexandra Harts is a metals artist-designer goldsmith, advocate and activist of responsible sourcing, Founder of alexandrahart.com, President of ethicalmetalsmiths.org, ethicalmetalsmiths.com, Secretary of compassionforafricanvillages.org, and former president WJA San Diego and Scholarship board. Jairo Novoa is a bench jeweler with 20 years of experience. He is an expert in all aspects of jewelry manufacturing including wax carving, stone setting, casting and setting. With work in the retail, auction and manufacturing sectors of the jewelry industry since 1989, Gina D’Onofrio’s experience encompasses jewelry design and production, appraisals, buying and selling of contemporary, antique and period jewelry, sales and management. Prior to joining Heritage, Gina operated an independent gemological laboratory, appraisal service and consulting firm and has been catering to private individuals, banks, trusts, non-profit organizations, insurance companies, legal firms and the jewelry trade in the greater Los Angeles area. Gina received her Master Gemologist Appraiser® designation, upon completion of appraisal studies, written and practical examinations and peer appraisal report review with the American Society of Appraisers. In addition, she was awarded the Certified Master Appraiser designation with the National Association of Jewelry Appraisers. In 2013, Gina received Los Angeles Magazine's coveted “Best in LA” award for her Jewelry Appraisal Services. She conducts presentations and speeches about appraisal and jewelry related topics to private and corporate groups in the Los Angeles area. Gina served as Gems and Jewelry Education Chair for the American Society of Appraisers and is co-instructor for their Appraisal Report Writing for Insurance Coverage course. Rebecca Boyajian is a Brand Ambassador with a 10-year career in Fine Jewelry and Gemstone market. Rebecca is a luxury retail manager with strong emphasis on client experience, customer retention, and presentation of brand. Rebecca is immediate Past-President of the Women’s Jewelry Association San Diego Chapter. As a versatile professional, Peter Harts has more than 12 years of experience in the jewelry industry, educated through the Gemological Institute of America (GIA), holding diplomas in Gemology, Jewelry Manufacturing, and Jewelry Design. His professional experiences range from a background in loose diamond wholesaling, quality assurance, business management, and entrepreneurship. Currently serving as a Career Advisor with the world renowned GIA, Peter takes a holistic approach to innovative career readiness programs, helping hundreds of individuals worldwide through career development strategies, student coaching & counseling, and employer partner relations. As a highly engaged member of the National Association of Colleges and Employers, and Toastmasters International, he has utilized his training to design and deliver professional development workshops on a variety of topics including career management, strategic job search planning, resume development, interview skills, and networking. Niki Ostin has 20+ years of marketing experience in the jewelry industry, specializing in developing and implementing strategic campaigns. A decade ago Niki founded PR Lab, a full-service marketing agency based in Los Angeles focusing on promoting consumer products. Established in 2008, PR Lab is a marketing agency headquartered in Los Angeles that focuses on turning consumer products into “must have” brands. PR Lab’s areas of expertise include media coverage, celebrity product placement and experiential marketing events. The agency consistently works with major media outlets, digital content creators, celebrities, wardrobe stylists and costume designers to create buzz for their clients. Past and current clients in the jewelry and watch categories include Platinum Guild International, Movado, Swatch Group, Susan Eisen, Roberto Demeglio, Shaftel Diamond Co., and Christopher Designs, to name a few. Prior to PR Lab, Niki worked in the PR department at top ranking companies including Clifford PR, Euro RSCG Magnet, and FOX Broadcasting Company. Niki holds a Bachelor of Arts degree in English/Cultural Studies from McGill University in Montreal, Canada. She also received a certificate from UCLA in Film, TV, Video and New Media with an emphasis in entertainment publicity. For over 10 years she was a guest lecturer at UCLA in the field of public relations. Niki is a member of the WJA and is a voting member of The Academy of Television Arts & Sciences. With over 25 years of experience in the jewelry industry, spending most of those years working with my father legendary bridal designer Michael.B. I started in the industry with a suitcase knocking on doors for a colored stone company called Van Lochman styling, my first education in the jewelry industry. After 9 months my father brought me back to start learning the bench and production. I was the assistant production manager and graduated to production manager. During this time Michael B was revolutionizing the jewelry business with Micro Pave and the original halo design. As well as marketing and branding never seen before by any bridal manufacturer, creating the concept of branded bridal. After 15 years in the shop I moved into the office to deal directly with accounts learning the business aspect. Developing relationships with the finest stores in the industry. After 20 years with the family focused on bridal it was time for a much needed change and King Baby was the perfect fit. I am in charge of all independent accounts for the company and love the change from bridal to fashion. Janet F. Williams is a writer, editor, and trainer for personal and professional development. She worked in high-end automotive sales and finance, managing an 18-member sales team before switching industries, spending the next five years in retail at Ben Bridge Jewelers. In 2010 she started her own company, Good Day Media, as a platform for her oral and written communications business and for her award-winning book, You Don’t Ask, You Don’t Get. In her spare time, Janet likes making beaded necklaces. Mo Gambill is a jewelry design and manufacturing professional who has fifteen years experience working at the bench in addition to teaching jewelry fabrication, CAD/CAM and casting at the higher education level. Mo currently works at Julez Bryant in Carlsbad, California as a goldsmith and CAD modeler. Formerly a medical student, Robert Ackermann combined his scientific interests with his artistic talent and an ardor for permanent values: 1980 he was privileged to learn the trade from the bottom up under the master goldsmiths at Trudel Juwelier in Zurich (Switzerland). Robert continued creating contemporary fine jewelry in Zurich and his own atelier in Montreal, QC (Canada), during which time he attended major international trade shows and won international jewelry design awards. He has taught virtually every aspect of the jewelry trade at key institutions in Canada and the US and continues to do so at FIDM in Los Angeles, CA. Robert is the owner of Les Ateliers, an online school for jewelry creators that features the celebrated online course, Jewelry Design & Sketching. Read more about him in the Member Profile of this month's WJA Newsletter and his LinkedIn profile. Sara Rey is a jewelry & gem photographer with ten years of experience working in the jewelry industry. Prior to starting Sara Rey Jewelry Photography in 2014, Sara worked for both retail & wholesale jewelry companies, doing everything from sales to store management. In the past five years, Sara has photographed for nearly 150 jewelry companies and delivered tens of thousands of images to jewelers throughout the U.S., Canada, and Europe. She believes that as a “solopreneur”, it’s equally important to continue improving as a photographer, and as a business owner. Meg Berry began her pursuit of a career in faceting in 1975, attending Grieger’s Faceting School and eventually working for them. She studied at GIA during this period, and began working in the wholesale trade in Los Angeles in 1978. Meg has been a professional gemstone cutter since then and has cut many important gems, including more than 100 emeralds from the sunken treasure ship, Atocha. Meg has been teaching herself the art of gem carving since 2000, and it is currently the primary focus of her work, although she regularly is called upon for important faceting projects. Meg has won 7 AGTA Spectrum Awards for her faceting, and 2 for her carvings, for a current total of 9.